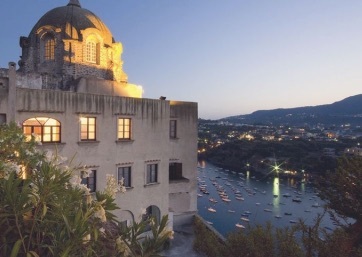 The island of Ischia has a long history just waiting to be discovered. The first inhabitants were a mixed population of Greeks, Phonecians and Etruscans. In fact, some of the most important artifacts identifying the Greek alphabet were found here. 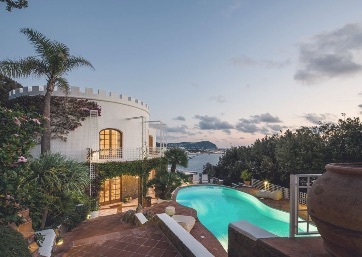 One of the main attractions and monuments that must not be missed is certainly the Medieval Castle built on a rock connected to the island, one of the most beautiful in all of Italy and a dream wedding location. Getting to Ischia is also quite simple, as there are numerous ferries that connect Naples to the island. 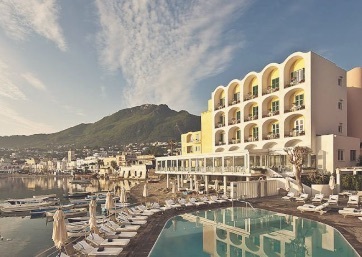 You can also organize day trips to other locations along the Amalfi Coast such as Sorrento, Positano, or Capri by enjoying a scenic boat ride. The journey is just as wonderful as the destination! The beaches are absolutely gorgeous, and the thermal springs and world renowned volcanic mud treatments guarantee a rejuvinating experience. It is a fantastic locations to renew one's well being, enjoy the warm sun and waters, and celebrate a wedding! Could you ask for more?